Biography: Serving as President & CEO of NB Power since February 2010, Gaëtan Thomas is a committed industry leader and agent of change. His vision for NB Power includes a made-in-New Brunswick smart grid aimed at creating a greener, more sustainable province, helping to reduce reliance on fossil fuels, lowering costs and keeping customer rates low and stable. 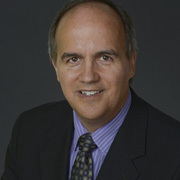 Gaëtan has a degree in Electrical Engineering as well as an Honorary Doctor of Science Degree from the University of New Brunswick. A loyal and lifelong employee of the utility, he has worked in all aspects of the business including as Chief Nuclear Officer and Vice President of both Nuclear and Distribution and Customer Service divisions. 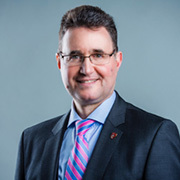 He is also a Board Member for the Canadian Electricity Association, an electric vehicle advocacy group Plug’n Drive Canada and the New Brunswick Business Council as well as the Chairman of the Board of the Atlanta Center World Association of Nuclear Operators. 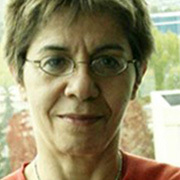 Biography: Dr. Makan Pourzandi is a research leader at Ericsson, Canada. He received his Ph.D. degree in Computer Science from University of Lyon I Claude Bernard, France and M.Sc. in parallel computing from École Normale Supérieure de Lyon, France. 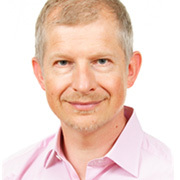 He has more than 20 years of experience in the fields of cyber security, Telecom and distributed systems. He co-authored a book on software security published by Springer on 2015 and is the co-inventor of 19 granted US patents. He has published more than 65 research papers in peer-reviewed scientific journals and conferences. His current research interests include security, cloud computing, software security engineering, cluster computing, and component-based methods for secure software development. Talk Abstract: The 5G Telecom networks will play a central role in providing the common backbone for information exchange among different applications from different industries, e.g., smart manufacturing, smart cities, smart transportation. This then necessitates ensuring the security and resilience for these services as well as the privacy for their users. Fortunately, 5G systems are designed with the security in mind. Network Function Virtualization (NFV) is an important and novel aspect in these 5G networks, therefore its security is of a paramount importance to the overall security of 5G systems. This presentation provides an overview of different security mechanisms and approaches in NFV environment for 5G Telecom networks. Biography: Matt Broda is a Technical Fellow in Security at Bell Canada. As the security CTO focused on Bell’s enterprise customers, Matt is responsible for Bell’s strategic security technology direction helping Canadian businesses to securely navigate digital transformation. Matt has devoted the last 20 years of his career to make cyberspace a safer place. In his work with international government and private sector organizations, Matt has helped to advance the state of security and privacy in key areas, including cloud and mobile computing, VoIP and multimedia communication, and critical information infrastructure protection. Before joining Bell Canada, Matt held leadership positions focused on security with Nortel’s Chief Technology Office, Microsoft’s Trustworthy Computing and as an entrepreneur and advisor. Matt holds an MBA from Ottawa University and a B.Sc. in Computer Science and Psychology from University of Toronto. Talk Abstract: This talk will explore security and privacy challenges that organizations encounter on their journey through digital transformation. With experience in operating the largest network in Canada and protecting organizations of all sizes, Bell sees and understands the challenges organizations are facing such as fast moving markets, cloud adoption, increasingly reliance on on-line model and increasing value of digital assets. Based on this experience we will share thoughts on securely enabling digital transformation in an ever-evolving threat landscape. 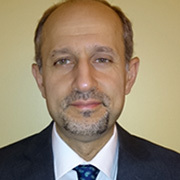 Biography: Mourad Debbabi is a Full Professor at the Concordia Institute for Information Systems Engineering and Associate Dean Research and Graduate Studies at the Gina Cody School of Engineering and Computer Science. He holds the NSERC/Hydro-Québec Thales Senior Industrial Research Chair in Smart Grid Security and the Concordia Research Chair Tier I in Information Systems Security. He is also the President of the National Cyber Forensics and Training Alliance (NCFTA) Canada. 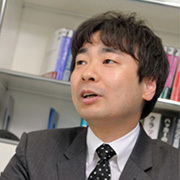 He is also a member of CATAAlliance's Cybercrime Advisory Council. He serves on the boards of the Canadian Police College, PROMPT Québec and Calcul Quebec. 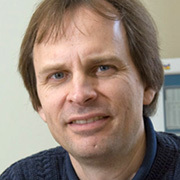 He is the founder and one of the leaders of the Security Research Centre at Concordia University. In the past, he was the Speciation Lead of four Standard JAIN (Java Intelligent Networks) Java Specification Requests dedicated to the elaboration of standard specifications for presence and instant messaging. Dr. Debbabi holds Ph.D. and M.Sc. degrees in computer science from Paris-XI Orsay, University, France. He published 3 books and more than 300 peer-reviewed research articles in high-impact peer-reviewed international journals and conferences on cyber security, cyber forensics, privacy, cryptographic protocols, threat intelligence generation, malware analysis, reverse engineering, smart grid security, programming languages and type theory, and specification and very cation of safety-critical systems. He supervised to successful completion 30 Ph.D. students, 72 Master students and 13 Postdoctoral Fellows. 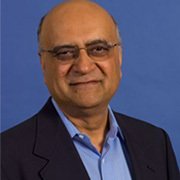 He served as a Senior Scientist at the Panasonic Information and Network Technologies Laboratory, Princeton, New Jersey, USA; Associate Professor at the Computer Science Department of Laval University, Canada; Senior Scientist at General Electric Research Centre, New York, USA; Research Associate at the Computer Science Department of Stanford University, California, USA; and Permanent Researcher at the Bull Corporate Research Centre, Paris, France. Talk Abstract: The successful deployment of smart grids is predicated on the ability to guarantee their security. Such a requirement is of paramount importance since electrical grids are essential to several components of the critical infrastructure. Recent cyber security incidents and security research studies demonstrate that electrical grids could be subjected to disrupting attacks that might lead to severe security and economic consequences, and even to the endangerment of human lives. In this talk, we will first discuss the threat landscape through the presentation of recent attacks on industrial control systems. In this regard, we will also present a new capability for fingerprinting, characterizing, and investigating Internet-scale attacks on industrial control systems and IoT devices. Afterwards, we will discuss the opportunities in terms of monitoring, detection and prevention techniques that could be used to mitigate the risks underlying the aforementioned threats. An important goal of this talk is the discussion of security metrics that could be used to quantify security in smart grid operations. Finally, we will survey the ongoing activities of our research program in the area of smart grid security through the presentation of some of our recent research contributions. Biography: Dr. Clifton works on data privacy, particularly with respect to analysis of private data. This includes privacy-preserving data mining, data de-identification and anonymization, and limits on identifying individuals from data mining models. He also works more broadly in data mining, including data mining of text and data mining techniques applied to interoperation of heterogeneous information sources. Fundamental data mining challenges posed by these applications include extracting knowledge from noisy data, identifying knowledge in highly skewed data (few examples of "interesting" behavior), and limits on learning. He also works on database support for widely distributed and autonomously controlled information, particularly issues related to data privacy. Talk Abstract: Differential Privacy has emerged as a powerful technique to protect individual privacy, providing well-defined guarantees against strong adversaries. Differential privacy adds a small amount of noise to disclosed information, sufficient to obscure the impact of a single individual's data on the disclosed outcome. Unfortunately, some techniques used in real-world data analysis can result in a single individual potentially having an outsized impact on the outcome, requiring substantially more noise than would seem necessary. This talk demonstrates how this problem can happen, and presents a solution for nearest-neighbor imputation that provides significantly higher accuracy than baseline approaches. This is joint work with Shawn Merrill (Purdue), Keith Merrill (Brandeis Univ.) and Eric Hanson (Brandeis Univ.) This work supported by the U.S. Census Bureau under CRADA CB16ADR0160002. The views and opinions expressed in this talk are those of the authors and not the U.S. Census Bureau.